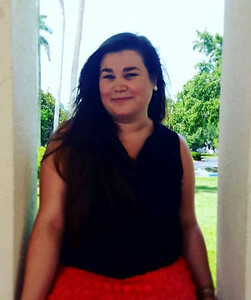 Hi, my name is Richelle Porambo, and I am the Territory Admissions Coordinator for DC, Maryland, and Virginia, along with Orange, Seminole, Palm Beach, and Glade counties in Florida. I have been working here for about 3 years and have fallen in love with the gorgeous environment and friendly campus culture. I am very passionate about the pursuit of education and enjoy using my free time to volunteer at the elementary school that I once attended as a student, and where my mother still works as a teacher. When not working or volunteering, I spend my time reading books on the beach and searching for ways to keep my cat from taking naps on my keyboard. Please feel free to contact me by phone or email anytime if you would like more information about the school or how to apply.